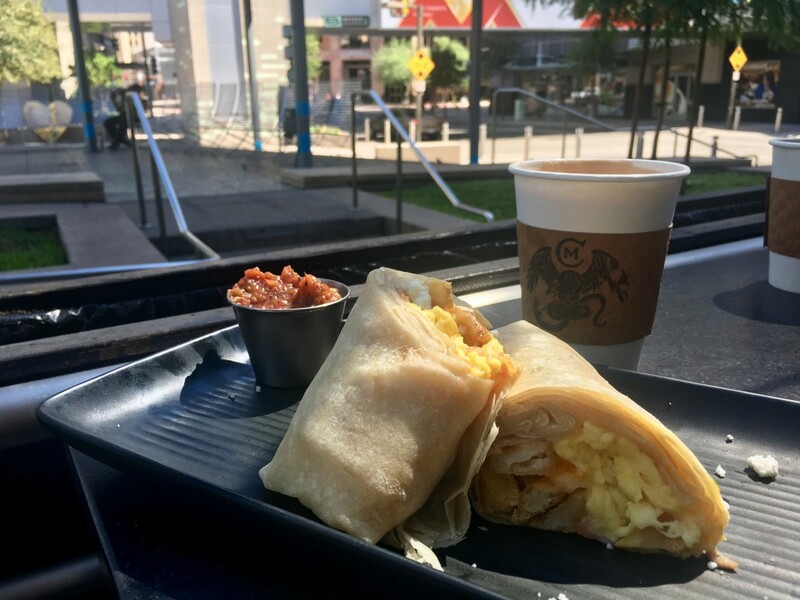 Booze, Benedicts, Burritos: 4 Downtown Breakfast Spots to Start Your Day - Downtown Phoenix Inc.
As a coffee and breakfast enthusiast, I am always on the hunt for an original hole-in-the-wall cafe or the grand opening of something new. I adore Downtown Phoenix because there are restaurants on literally every corner, with a plethora of breakfast choices. But as you may have noticed, not all breakfast menus are one-size-fits-all. So I did some delicious research, and compiled the ultimate list for every downtowner. Breakfast Club is one of the only restaurants with a vast breakfast menu in downtown, which makes it a classic choice. On a Monday morning, this restaurant had a very relaxed vibe, even while waiting five minutes for a table. Breakfast Club is the ideal breakfast stop for a morning date, large parties or sitting solo at the bar. If you enjoy large portions of benedicts, personalized pancakes, or a hearty four-egg breakfast, this is the spot for you. 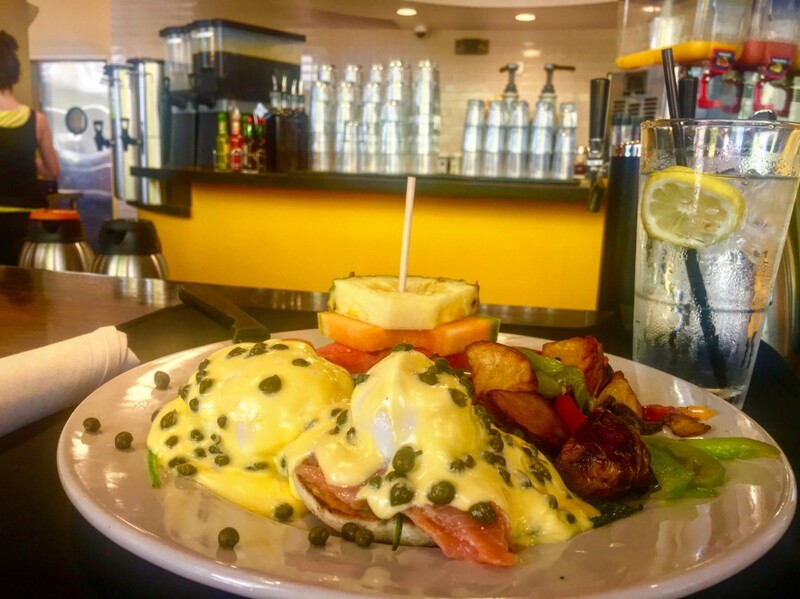 I ordered the “Smoked Salmon Lox Bene,” which has smoked sockeye salmon, spinach and capers, all topped in the most classic hollandaise sauce. In case you are in the mood for lunch, they also have sandwiches, salads and wraps. If you are stopping by Breakfast Club on your work break, you can call in a to-go order and pick it up at their courtyard kiosk. Also, did I mention that they have pressed hot tea? Monday-Friday from 6 a.m. to 3 p.m. and Saturday-Sunday from 7 a.m. to 3 p.m. When it comes to an early-morning beverage, alcohol is no stranger to breakfast and brunch menus. 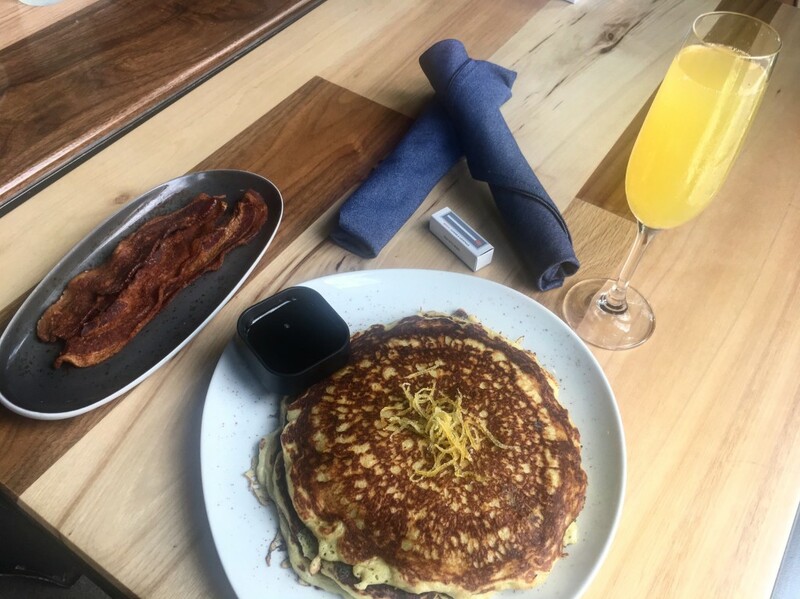 If you are looking to pair a classy mimosa with your delicious breakfast, add Match Restaurant & Cocktails at Found:Re Phoenix hotel to your list. The breakfast menu is a work of art including avocado toast topped with a soft scrambled egg, lemon ricotta pancakes and a few southwest-inspired dishes. Through Labor Day, Match is pairing $4 orange and grapefruit mimosas with breakfast and weekend brunch. The weekend brunch menu has even more breakfast cocktail options including a Re:Thought Bloody Mary and five specialty mimosas. As a triple threat, the Found:Re Phoenix hotel provides beautiful rooms, a high quality dining experience, and a display of local art throughout the building. Breakfast counter: Monday-Friday from 6 a.m. to 10:30 a.m.
Brunch: Saturday-Sunday from 6:30 a.m. to 3 p.m. Unlike the hungry monster I turn into when I skip a meal, maybe you only need a delicious cup of coffee to start your day. 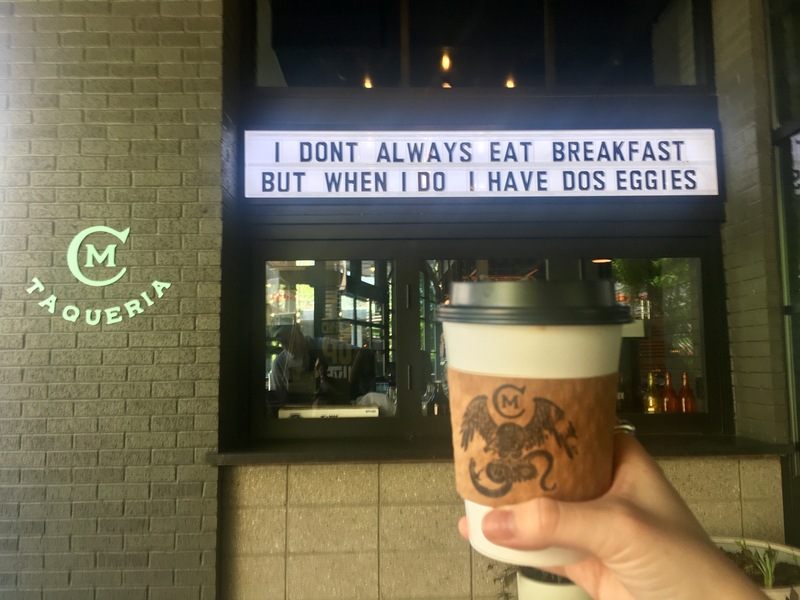 If this sounds like you, then next time you are catching the light rail for work, stop into Be Coffee + Food + Stuff for your latte fix. Be Coffee serves breakfast all day, cookies the size of your head, lunch, and house-made sauces and syrups with any drink. This is one coffee shop you could definitely visit for an early-morning meeting or to explore The Bosque while you sip on perfectly-foamed lattes. 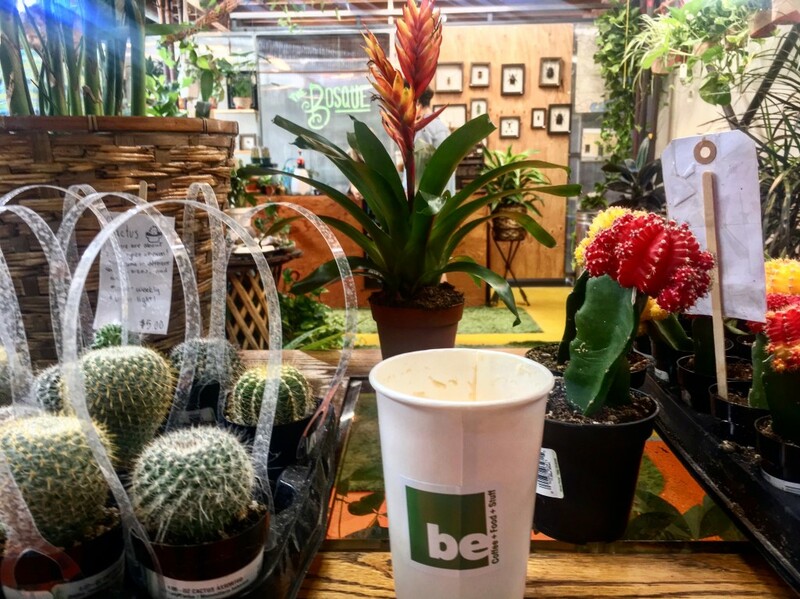 On Roosevelt Street, Be Coffee is no stranger to the creative downtown scene. This community spot houses Be Coffee, The Bosque plant shop and The Dressing Room micro restaurant all inside one building — the Monorchid Gallery/event space. Monday-Friday from 6 a.m. to 6 p.m., Saturday from 6:30 a.m. to 3:30 p.m. and Sunday from 7:30 a.m. to 5 p.m.
Downtown’s Mexican and South American-inspired restaurant, Chico Malo, has already made a few recent changes to its menu after opening earlier this year. Chico Malo is now serving breakfast on weekdays starting bright and early at 7 a.m. If you like to spice up your breakfast routine with Latin-inspired cuisine, then you should try out the assortment of burritos with your choice of ham, carne asada, farro and more, as well as hearty servings of chilaquiles. Even during the summer, their patio is a cute and comfortable spot to enjoy an early breakfast while looking out at our buzzing city. Monday-Friday from 7 a.m. to 10:30 p.m.